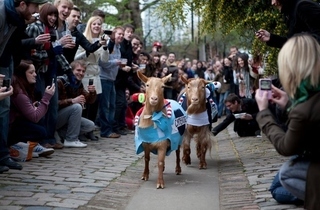 Polish your horns and belt out those bleats, because London's favourite farmyard fracas is back for an eleventh year in 2019. 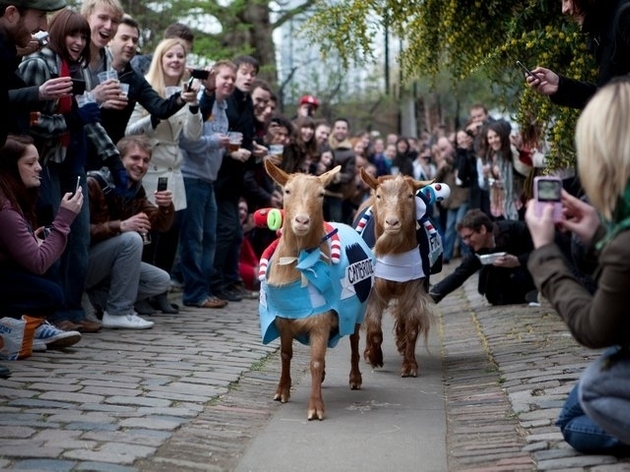 The Goat Race is fast becoming as popular as its Thames-based rival (at least around the Time Out office), and sees two goats – one representing ‘Oxford’, the other ‘Cambridge’ – take part in a dash around the farm. 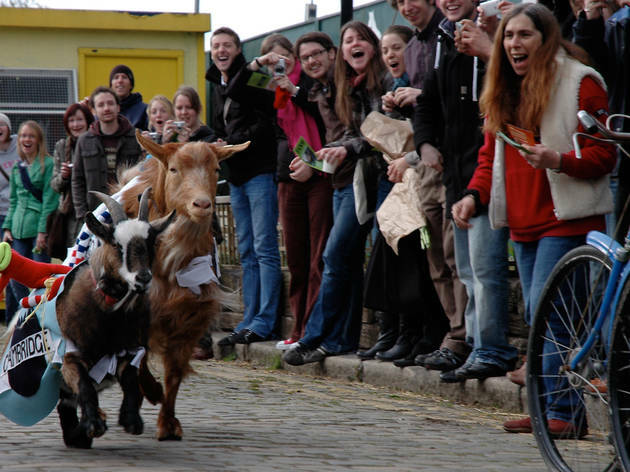 The gates open at noon with lots to enjoy on the farm, including bands, booze and other fun, goat-related nonsense. 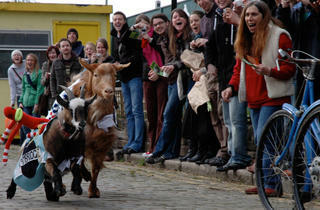 The race takes place at some point between 2pm and 5pm, depending on the mood of the athletes. There’s an official bookie and sweepstake if you or your nanny fancy a flutter. 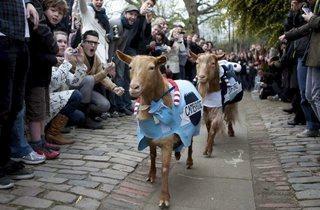 Young bucks at heart, you can join the Goat-e-oke, take part in the Oat Race or the Goatry Slam. 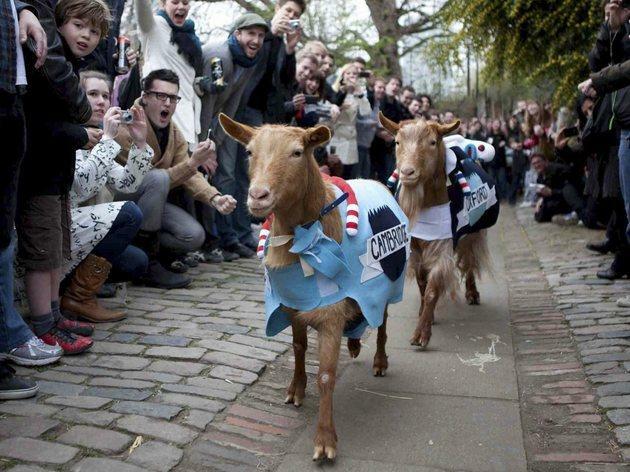 By the end of it, you might just pass out from goat-pun fatigue. 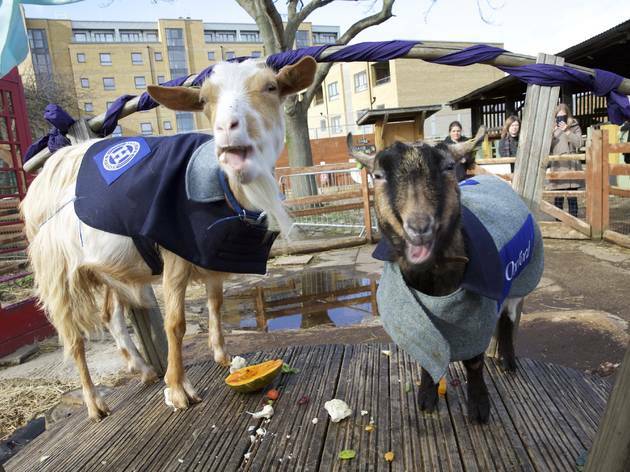 Book tickets well in advance – the animals mustn't get overcrowded and places sell out fast. Went last year. Was a right laugh. Very very busy though. 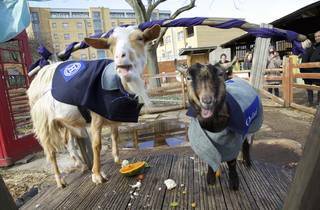 Goats don't seem distressed either. My friend Matt and I are buzzing for this on Easter Sunday! See you all there! GET IN THERE!